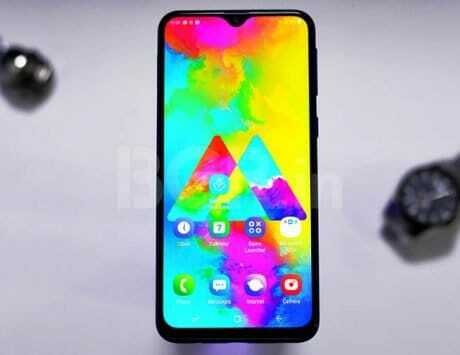 Samsung Galaxy A60 (A8 Lite) is likely to feature a similar design and specification as the other Galaxy A8s smartphone. In order to better compete with Chinese brands like Xiaomi, Honor, and Realme among others, Samsung recently decided to overhaul its strategy and put more focus on its mid-range smartphones. This means that the Korean smartphone maker will be introducing new features through its Galaxy A smartphones, starting this year. With the Samsung Galaxy A8s launch last month, we are now slowly turning our heads towards the Galaxy S10 event, which is scheduled for February 20 in San Francisco. Being the 10th edition Galaxy S device, the smartphone is expected to carry some interesting features. Samsung is reportedly planning on launching a total of nine Galaxy A-series smartphones this year. Four of the devices, dubbed Galaxy A4+, Galaxy A50, Galaxy A70, and Galaxy A90 have already leaked online, and are expected to be launching sometime in the second quarter of this year. Now based on a Twitter interaction between MMDDJ and SamsungMobile.News, the Galaxy A60 (A8 Lite) is believed to be already in development by Samsung Mobile division, and could be launched as early as April this year. The new device will presumably sit between the upcoming Galaxy A50, and the slightly premium Galaxy A70. Other details of the smartphone’s specifications and design haven’t surfaced yet. That said, the Galaxy A60 (A8 Lite) can be expected to feature a similar design as the other 2019 Galaxy A series smartphones. This includes smaller bezels and quite possibly a punch-hole display. It might also take some design cues from Galaxy A8s launched last month in China, featuring a vertically aligned triple-camera setup, and fingerprint sensor at the back. According to previous leaks, the Samsung Galaxy A50 will feature a 24-megapixel camera at the back, and have 4GB of RAM, 64GB and 128GB storage options. It is expected to run Android 9.0 Pie OS out-of-the-box. The OS will be wrapped under Samsung’s new One UI. The Galaxy A50 was also spotted on Geekbench running the Exynos 9610 SoC under the hood.